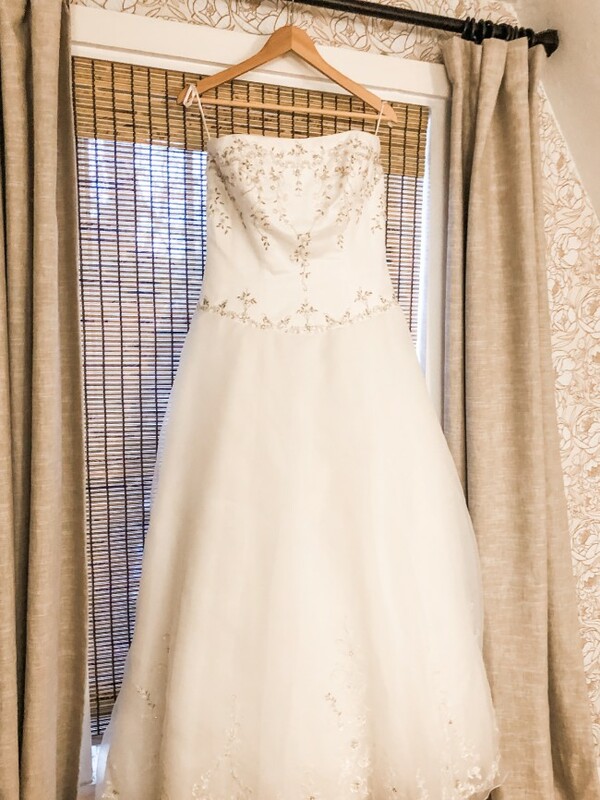 Very sweet a-line ivory wedding dress with delicate stitched flowers and silver beading. I also have two vails to go with this dress. One is a long cathedral vail and one is shorter for the ceremony. Both are adorned with diamond sparkes. Once you send a message, Jodi can invite you to purchase the dress.